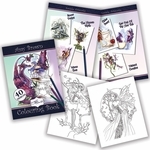 Bring the magic of Amy Brown's artwork to life, right in your home! This figurine features one of her fairies, and is absolutely perfect for autumn! The pixie has fiery hair and wings in shades of orange and red, and her outfit is made from fallen leaves. 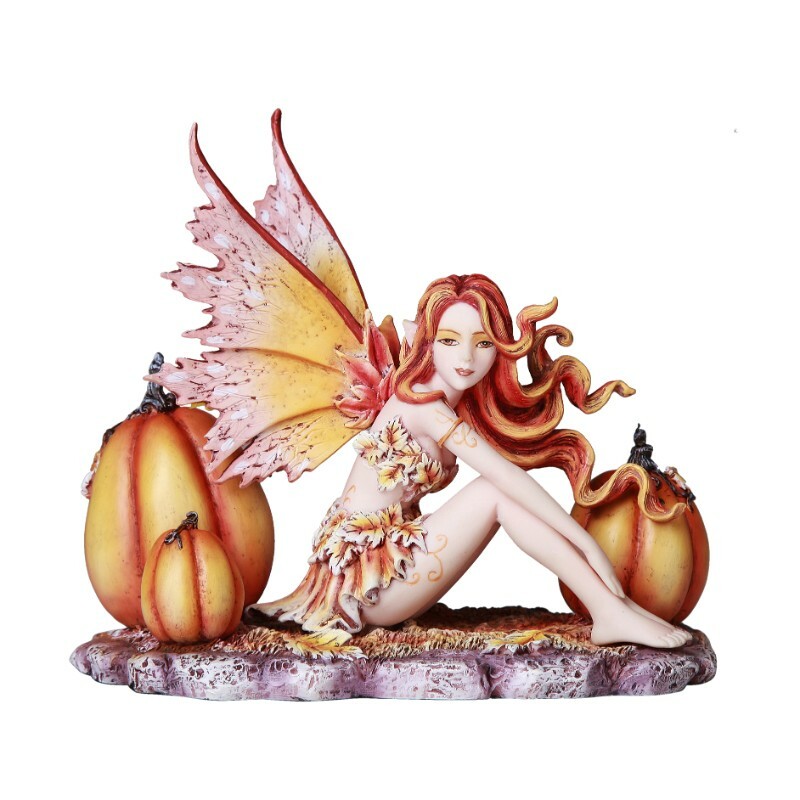 She sits among pumpkins, and will add a festive flair to your fall decor! A great collectible for a pixie fan! Size: 6 1/8" x 4" x 5 1 /4"